There are plenty of people who seek to improve their recreational golf game, and then there are those who need to understand their precise body movements and how this affects every aspect of their game. Mark Bull, owner of Bull 3D out of the UK, caters to the latter audience. 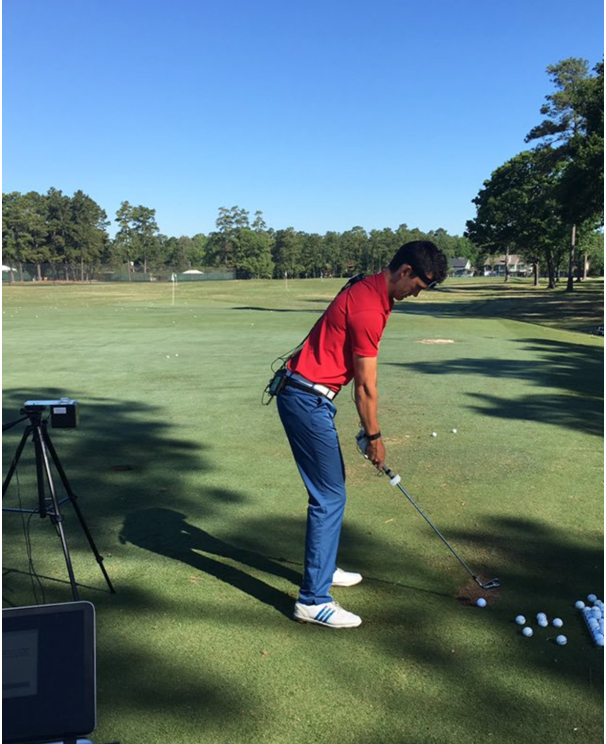 Combining his biomechanics expertise with the latest cutting-edge technologies, he provides precision, expert-level analysis for exceptional golf performance development. As a young athlete, Mark Bull was a high-level, respected golf player. After sustaining an injury, he became fascinated with biomechanics. He combined his love of sports, anatomy, and science to become a leading biomechanist and PGA professional who enables players to unlock their full potential. He has been offering his world-class services since 2001 to various level athletes, including several top major players. Bull devised the Bull 3D System, utilizing the Polhemus G4™ motion tracker from Polhemus. Strategically placed sensors provide full 6DOF precision data for selected points, detecting the slightest movement, and capturing both position and orientation of the user. With a system electronics unit the size of a mobile phone, G4 is compact and can be belt-worn. No cameras of any kind are used in the motion tracking, as the system uses Polhemus electromagnetic technology. This means there is never a break in the line-of-sight. The user has full freedom of movement, and with every golf swing, the system produces a continuous data stream, with no interruptions. Bull couples the Polhemus hardware with sophisticated software, providing a wealth of information. It allows for a true understanding of how joints and segments move in golf and in real-time. Also, learned, are intrinsic values such as speeds, the force produced, acceleration/decelerations, elastic recoil and angular velocity. This data allows for instantaneous discussion with the athlete and their coaching team. Through the use of audible biofeedback, real-time improvements can be made, allowing for immediate changes for both short and long-term gains. This makes each session highly impactful to both the user and their coaches. According to Bull, the main difference in his system, compared to others on the market, is the intellect behind the data. First off, the data has to be highly accurate and produce repeatable results. The Polhemus G4 system accomplishes this piece. Secondly, knowing how to interpret and apply the data is critical. In any given session, this always proves proves to be the biggest skill needed. Watch the systems in action here. Bull has been using Polhemus technology since 2005, but says G4 was a break-through because it allowed the freedom and ability to easily capture precision body movement both indoors and out. The tetherless G4 tracker allows him to bring the portable system to the user’s actual environment. Bull says this is vital for high-aspiration athletes and professionals he works with, both in the studio and on the golf course. Injury prevention is also a major part of the program and mission, and is the priority in most sessions. Bull’s PhD work reviewed body structures and their correlation to swing patterns. He says this is among the best uses of the data. He uses his analysis and creates training programs that best avoid paths to pain and help rehabilitate an injury, if necessary. Bull has worked with many high level golf players, including several major champions. The clients span is around the globe, including the UK, the U.S., Australia, Europe. As far as what’s ahead for Bull 3D, he is exploring expansion into multiple sports in the immediate future. In other biomechanical applications, Bull connects the G4 to other measurement devices, such as force platforms and launch monitors. This allows for correlating the data for a much greater understanding of how the athlete is moving and behaving.